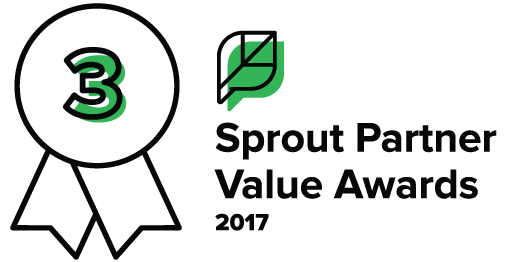 RAVE has been recognized by Sprout Social, in the first annual Sprout Partner Value Awards, for our agency’s work with the grassroots #SaveTheCrew movement. In taking home this award, RAVE beat out other top social media, marketing and advertising agencies from around the world. Sprout Social is one of the most popular social media management platforms on the market, used by some of the top brands in the world to run effective campaigns on Facebook, Twitter, Instagram, and other networks. 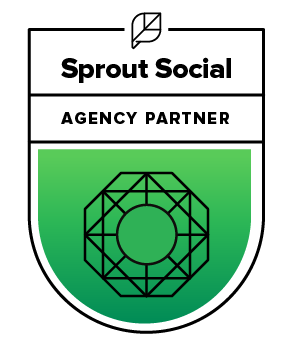 As a member of Sprout Social’s Agency Partner Program, RAVE has been selected as a leader in the social media marketing space and granted exclusive access to some of the industry’s best tools. This award shines as an example of the agency’s ongoing leadership and vision. RAVE was one of the very first #SaveTheCrew Business Allies. The agency’s ongoing work as an integrated part of the movement includes a holistic digital campaign utilizing Instagram, Facebook, Twitter and other tools to drive awareness and create action to keep the Crew in Columbus. For the campaign RAVE combined a variety of scheduling, analytics, social media chatbot building, e-commerce integration and many other tactics. “Bringing attention to the story surrounding the potential move of our Major League Soccer team, the Columbus Crew, has been a labor of love. It has been phenomenal to work with the entire community on a volunteer project of this magnitude. And then to see the work of our team, and the entire Save The Crew group, recognized by an industry-leading company like Sprout Social is incredibly humbling,” said Tobias Roediger, Principal Partner at RAVE. This award from Sprout Social is the latest honor for RAVE, a full-service marketing and adverting agency based in Columbus, OH. #SaveTheCrew is a grassroots, 100% volunteer, movement focused on keeping the Columbus Crew SC in Columbus, OH.